Japan’s largest carrier announced a dozen new devices to ring in a new year of smartphones, tablets and other gadgets. Japan always has a bunch of sleek devices which never see the light of day outside the land of the rising sun. 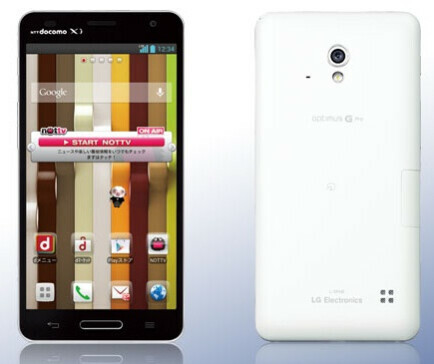 Though one of them we may see make its way west in due course, the LG Optimus G Pro. Just a few days ago, the specifications for the G Pro leaked, and we are happy to convey to you that the leak was spot-on. The LG Optimus G Pro features a 5-inch 1080x1920 HD screen, 13.1MP main camera, and a quad-core 1.7GHz Qualcomm Snapdragon processor doing the heavy lifting. 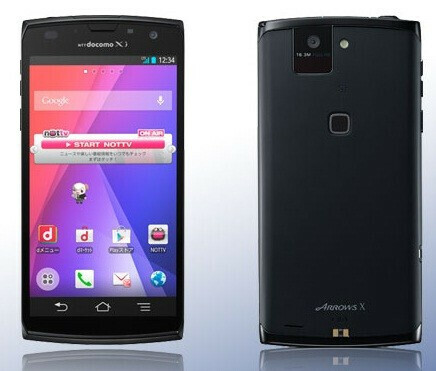 Also underneath is a beefy 3,000mAh battery, Android 4.1 and support for LTE (branded a Xi LTE Service by DoCoMo). 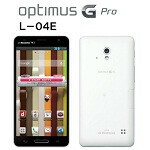 The Optimus G Pro will be available beginning in early April. The LG Optimus G Pro is part of what NTT DoCoMo is labeling as the “NEXT series.” Joining the new G Pro is the Sony Xperia Z (to be available February 9), and the Huawei Ascend D2 (early April), both of which we expect to see in North America and Europe. In addition to those, there are entries from Panasonic and the ELUGA X, Fujitsu Arrows X and NEC/Casio MEDIAS W which are not expected to see any visibility outside Japan. All of those are running Android 4.1, multi-core CPUs from Qualcomm or NVIDIA and all are otherwise very closely spec-ed with exception of the NEC/Casio unit which features “only” an 8MP camera. That addresses six out of twelve devices announced by NTT DoCoMo, two more smartphones, part of the “with series,” were unveiled by Sharp and NEC/Casio. The Sharp AQUOS PHONE EX, with a 4.5-inch 720x1080 screen, 1.5GHz quad-core Snapdragon CPU, Android 4.1, Xi LTE, a 13.1MP camera and power from a 2000mAh battery, slides in slightly below the “NEXT series.” The same goes for the NEC/Casio MEDIAS X, with a 4.7-inch 720x1080 screen, and the same specs as the AQUOS PHONE EX. NTT DoCoMo also had a smartphone for “juniors,” a Wi-Fi router, SmartTV stick and a couple of tablets in the line-up. The “Smartphone for Juniors” is a Sharp unit with a 4.1-inch 540x960 screen, Android 4.0, a 1.5GHz dual-core Snapdragon processor and 12MP camera. Aside from running Android Ice Cream Sandwich and a lower screen resolution that is not entirely “junior” we think. NTT DoCoMo will also be offering a Huawei Wi-Fi router and Neos Corp. SmartTV dstick-01 for the TV. Huawei and Sony round out the spring offering with a pair of 10.1-inch tablets. The Huawei dtab, running Android 4.1 Jelly Bean on a 1280x800 WXGA screen and a 1.2GHz quad-core CPU will be available in late March. 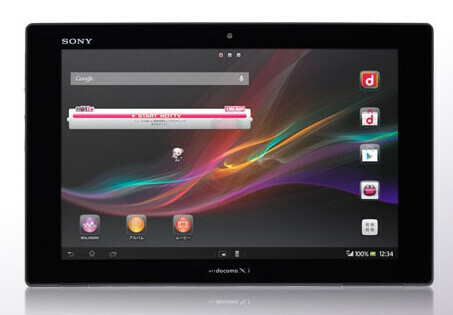 The Sony Xperia Tablet Z will make its debut as well, with a 1920x1200 screen, Android 4.1, quad-core 1.5GHz Snapdragon processor, Xi LTE connectivity, and an 8MP camera, making this NTT DoCoMo’s premium tablet which should be available in mid-March. That rounds up the big announcement by NTT DoCoMo, a lot of HD capable smartphones, a lot of LTE connectivity with claimed speeds of over 100Mbps in some areas, a whole lot of Android Jelly Bean and big batteries to power them all. Check out NTT DoCoMo sources links (#2 and #3) for the full set of specifications on the tablets, smartphones and other devices. +10. Google released Jelly Bean at the end of June. Samsung had it on international GS3 by end of September. 3 months. LG on the other hand has still not updated the Optimus 4X or the International Optimus G. How can they expect people to buy their smartphones when they don't support their customers. LG makes great strides, G pro looks great much better than Optimus G, and JB is very respectable achievement. Looks like cooperation with GG helped LG a lot, and LG has just released Optimus G in 50 new markets. I can see LG close much the gap with SS. I'd like to see how the camera compares to the Z.
LG just released the optimus g, isn't it too soon for them to release the pro so early? It isn't a G successor, more of a variant to compete with other 5" Full HD phones. Not sure if this is the real deal.. The front looks like a Samsung phone and the back looks like a HTC one. Optimus G Pro is what i expected from the S4. Wonder which will come first.